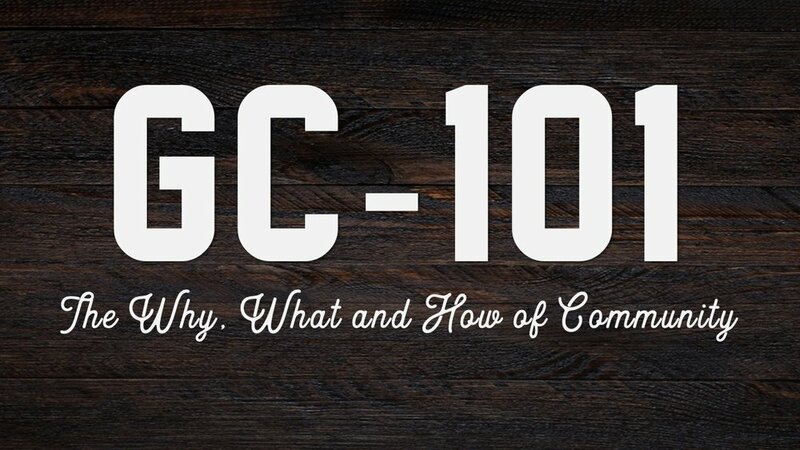 If you attend Gospel Life and are looking to join a Gospel Community, are participating in community but would like a "refresher" of the vision and heartbeat of Gospel Communities, or are new to Gospel Life in general, we'd love for you to join us for GC 101 - a class that will help you understand and articulate the foundations of the gospel and gain a deeper understanding of "WHY" we engage in community together. Over the course of 3 weeks, we'll dive into scripture to define the gospel and discuss how to connect the gospel into our everyday lives in the context of community. We desire for every individual at Gospel Life to actively engage in Gospel Community because we believe this is where the transforming power of the gospel gets connected and expressed best! Join us on Sundays @ 8:30, beginning April 28th! Register by signing up at the CONNECT Area or RSVP here. Join us Sunday, April 21st at one of our THREE Easter gatherings as we celebrate the greatest day in all of history, when Jesus, the Son of God, rose victorious over sin and death on our behalf, just as He promised so that those who put their faith and trust in Him as their Savior will have new life and a relationship with Him forever! Gospel Life Kids will be celebrating too with all children ages 0-4th grade. If you are a first-time family who will be joining us this coming Easter, we would love to help make your time with us as smooth and seamless as possible. Child Pre-Registration helps our GLK Volunteer Teams prepare to make the most of your child(ren)’s visit with us. 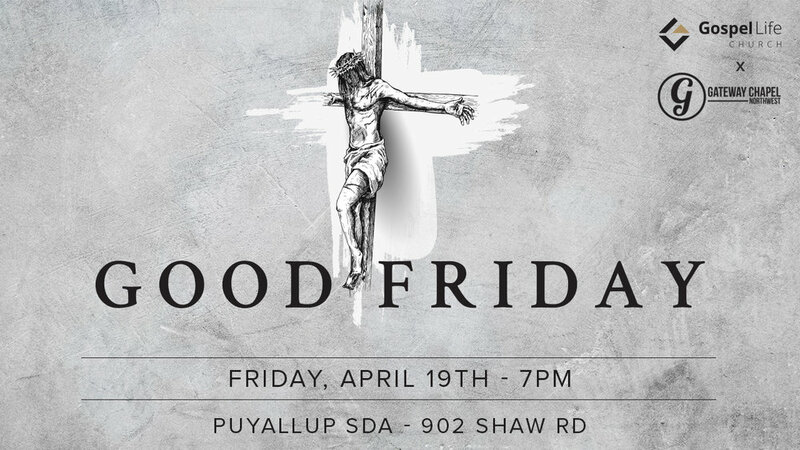 Gospel Life Church is partnering with our Acts29 sister church, Gateway Chapel Northwest for a Good Friday service on Friday, April 19th @ 7pm. Join us as we remember the weight and importance of what Jesus accomplished for us on the cross. Service will be held at the Puyallup SDA @ 902 Shaw Rd, Puyallup WA. Childcare will be available for children ages 0-5. If you are a first-time guest with children who will be joining us on Good Friday, we would love to help make your time with us as smooth and seamless as possible. Child Pre-Registration helps our GLK Volunteer Teams prepare to make the most of your child(ren)’s visit with us. On Sunday, April 14th we are "Scattering to Serve the City"! Join us at the Pioneer Park Rotary Bandstand @ 10am for a time of worship and service as we partner with local businesses and help them with cleaning and small construction projects. Then join us after for hot dogs and pulled pork sandwiches as we celebrate what it means to be family! Parking available at the Puyallup Library. On April 3rd, we are offering our SPRING MEMBERSHIP CLASS. If you are interested in becoming a partner on mission to "preach the gospel and connect its transformational power to every day life", we'd love for you to join us! CLICK HERE to read more about Membership and begin your application. We look forward to the new Members God will bring to Gospel Life Church this year! 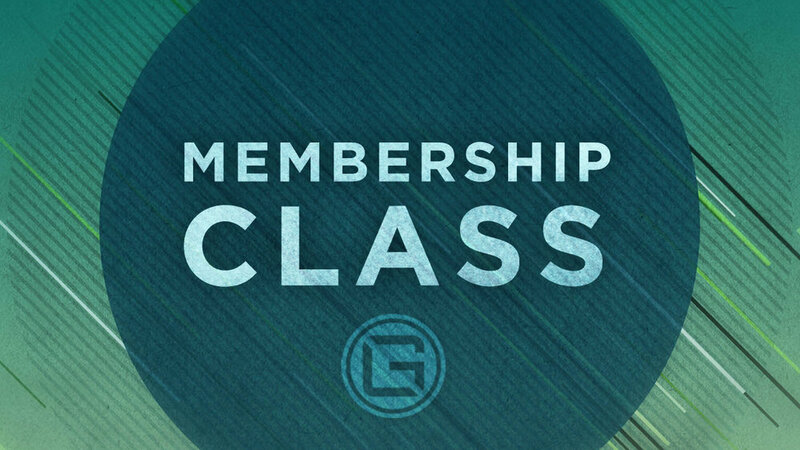 Why: If you desire to become a GLC Member, this class is a mandatory step in completing the Membership process. What: Learn how we define the words "membership" and "covenant", concepts grounded in scripture, and how they are expressed at Gospel Life Church. Read through our Doctrinal Statement and learn how to become a covenant partner on mission! Submit your RSVP HERE and let us know if you will be needing childcare. Interested in finding out about spiritual gifts? Class Capacity: We are only able to take 30 registrants. We will have a waitlist should anyone not be able to attend. Childcare: Please make private arrangements or contact McKenna Lindsley, Babysitter's Club Director, at mckenna@glpuyallup.com if you would like recommendations. At Gospel Life, we do not baptize babies, but love when dads and moms choose to lead their families together and point their children to Jesus, humbly asking the church community to help them with this noble task. There is nothing magical about a child dedication, as it does not secure the child a place in heaven (only Jesus does that) and it doesn't protect the child from any possible harm. Instead, we view it as an act of obedience that expresses a parental commitment to raising Godly children who love and serve Jesus by the grace of God! 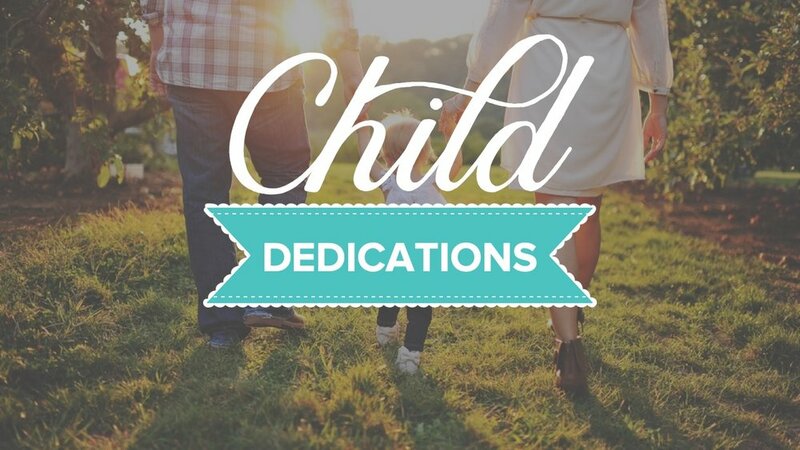 If you would like to dedicate your child to the Lord, our next dedication will be on SUNDAY, MARCH 10TH. We'd love for you to join us! Click HERE to get signed up. In the Old Testament, God gave Abraham a sign (circumcision) to show that he and his family were dedicated to the Lord. As we entered into the new covenant, this particular symbol was done away with as the sign. Instead Baptism replaced it as the sign for salvation. While some would say that we should baptize infants now, we personally don’t see enough in Scripture to support baptizing children. Although we do see throughout Scripture parents making commitments to raise their children to know the Lord. For example: Deuteronomy 6, Proverbs 22:6 & Luke 2:22-24. So many children in today’s culture will never know what it means to have the daily influence of a man in their lives, let alone a man that loves Jesus. By the grace of God, children in our church will not experience that. Instead, we are encouraging fathers and mothers to live as counter-cultural examples of the saving grace of Jesus Christ alone. As Christians and by the grace of God, we believe parents can lead their families and raise their children to know and trust in Jesus, not religion or spirituality. At Gospel Life, we desire to see men take the initiative and together with their wives love and lead their children to Jesus and as a result build a family legacy that lasts for generations. Dedicating your child to the Lord is a step in this direction and choosing to do it with your church family allows them the opportunity to come alongside you. In so many words, you are asking your new family to help you achieve this noble task. Daylight Savings Begins THIS Sunday! Don’t forget to set your clocks FORWARD one hour THIS Sunday, March 10th! New to Gospel Life? Want to know more about who we are, why we exist, and how to get connected to the mission of GLC? Join us on Sunday, March 3rd from 1:30-2:30PM. Find out more info at the CONNECT Area on Sundays or send an email with any questions to hello@glpuyallup.com. CLICK HERE to RSVP and request childcare. If you are a 7th-12th grader, join us for a weekend of being reminded of the Gospel and connecting its transformational power to your everyday life! Our theme for the week is JESUS MEETS MY NEED. We'll be hearing from God's Word, reflecting about our need for a Savior, and encouraging each other to look to Jesus. The weekend will be packed full of delicious meals, fun activities, and lasting relationships! Click HERE for more information and the online registration form. Registration closes December 29th. We would love for you to join us for one of our three gatherings on Sunday, December 23rd as we sing & celebrate the birth of JESUS, our Savior and King. Each gathering will be a one-hour, family-style service. Children ages 5 and up will join their families in service and Gospel Life Kids Children’s Ministry will only be available for ages 0-4. Service times: 8:30am, 10:00am, and 11:30am. We are excited for this great day of celebration and hope you are able to join us! Have children and planning to visit us for the first time at one of our Christmas Gatherings? We would love to help make your time with us as smooth and seamless as possible. 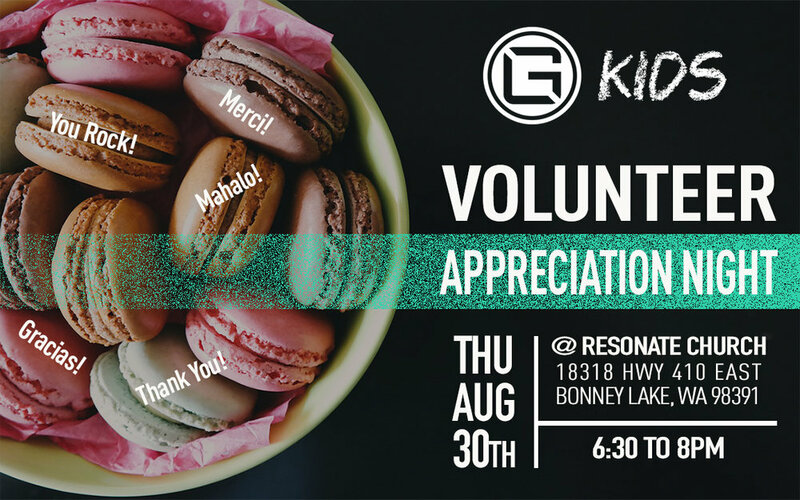 Pre-Registration helps our GLK Volunteer Teams prepare to make the most of your child(ren)’s visit with us. BAPTISM SERVICE on DEC 2ND! If you are a believer and have not yet been baptized, but have a desire to publicly declare your new life in Christ, we invite you to join us at our next Baptism Service to celebrate what Jesus has done in your life! How: Please complete the online form and one of our Gospel Life Church Leaders will be in touch with you! 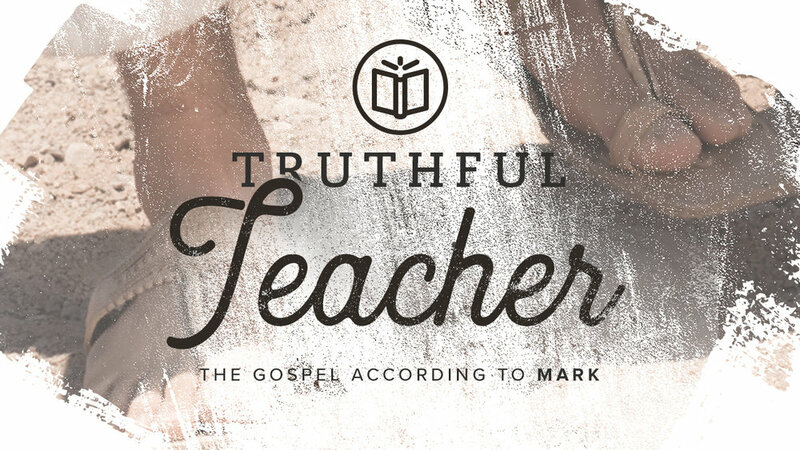 JOIN US AS WE CONTINUE STUDYING THE BOOK OF MARK AND SEE JESUS AS THE TRUTHFUL TEACHER! Jesus was a teacher. Actually, many would say that He was the greatest teacher in all of human history. In fact, of the 90 times Jesus was addressed directly in the gospels, 60 of those times he was addressed as ‘Teacher’. This was the word the multitudes used to describe him, this was how the disciples referred to him and this was the title Jesus himself used when he said, “You call me Teacher and Lord, and rightly so, for that is what I am”. However, Jesus was no ordinary teacher as the world had come to expect. Instead, Jesus was a Teacher of Absolute Truth – the Truth of God – pulling no punches and speaking directly to the heart of man. During this series, we’ll encounter Jesus Christ, the ‘Truth-telling Teacher’, and learn that He is inviting us to trust Him and follow Him as the Way to the abundant life we were created for. We are excited for another opportunity to scatter and celebrate that the church is not a building, a worship service, or a “day”. As the family of God, we are the church - the Body of Jesus Christ sent on mission to serve and point those around us to Him! 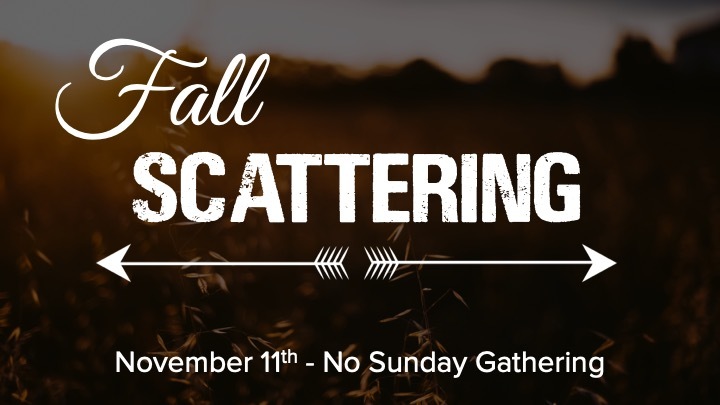 There will be NO SUNDAY GATHERING on Sunday, November 11th. Gospel Communities will be scattering throughout the Greater Puyallup Valley to serve and engage their neighborhoods, schools, co-workers, community first responders, co-workers and others with the good news of the gospel! 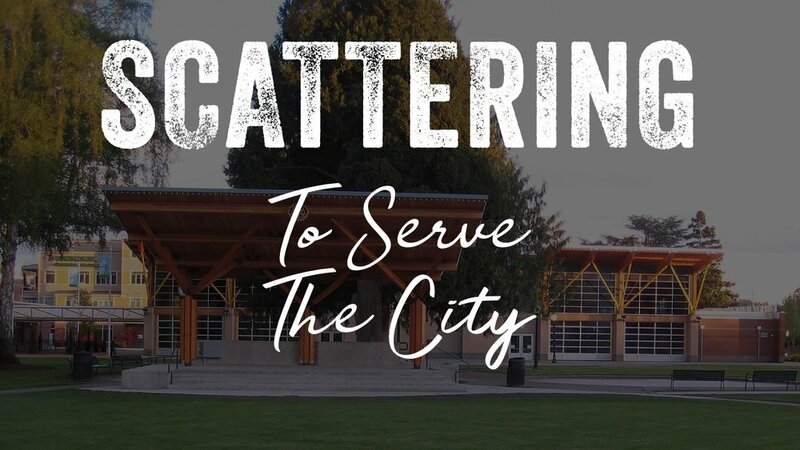 If you are not yet connected to a Gospel Community please join us in “Scattering to Serve” by finding a friend, neighborhood, or community to share the good news of the gospel with THIS SUNDAY. If you are a GC Leader, GC Leader Apprentice, Deacon, Ministry Lead or someone who leads a group or team at Gospel Life: We invite you to join us on Saturday, November 10th, for a time of development, training, support and fellowship. FOOD: We’ve got you covered! A light breakfast and snacks will be provided. Please RSVP below! CHILDCARE: We desire ALL current leaders to attend. Please include childcare needs in your RSVP. The deadline to submit your RSVP is Friday, November 2nd. Daylight Savings Ends THIS Sunday! 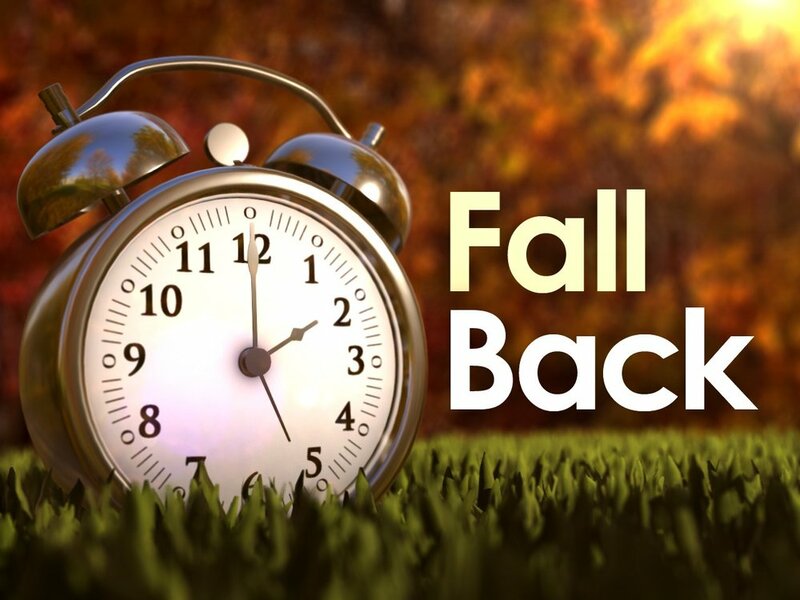 Don’t forget to set your clocks back one hour THIS Sunday, Nov 4th! New to Gospel Life? Want to know more about who we are, why we exist, and how to get connected to the mission of GLC? Join us on Sunday, October 21st from 1:30-2:30PM! Register at the CONNECT Desk on Sundays or RSVP here! On October 10th, we are offering our FALL MEMBERSHIP CLASS. If you would like to become a partner on mission to "preach the gospel and connect its transformational power to every day life", we'd love for you to join us! If you are a GC Leader, GC Leader Apprentice, Deacon, Ministry Lead or someone who is interested in leading a group or team at Gospel Life in the future: We invite you to join us on Saturday, August 25th, for a time of vision, teaching, training, and resources that will equip you for the upcoming year of making disciples who make disciples. 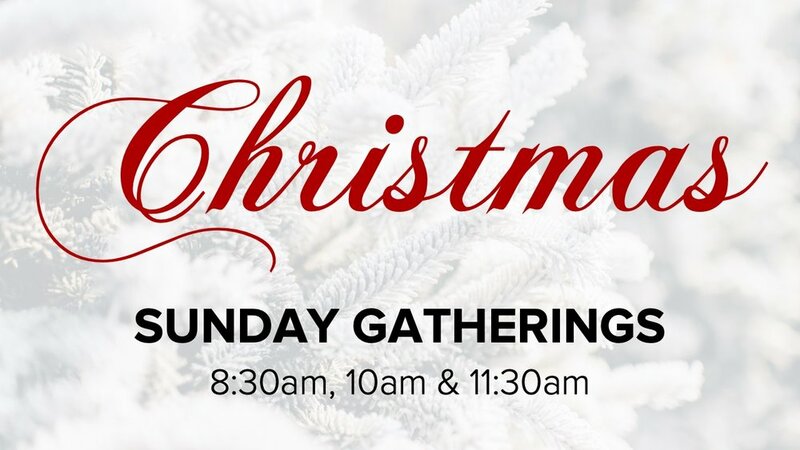 LOCATION/TIME: Puyallup Nazarene Church (1026 7th Ave SW, Puyallup, WA 98371). Arrive at 8:15am and stay with us until 1:30pm. FOOD: We've got you covered! A light breakfast and yummy lunch will be provided. RSVP below and make sure to let us know about any dietary considerations we should be aware of. CHILDCARE: This is a full day of training that we desire all current and prospective leaders/spouses to attend. Please include your childcare needs in your RSVP. The deadline to submit your RSVP is Friday, August 17th. Join us this Sunday, July 29th for GLK FIELD DAY during our regular 8:30am & 10:30am Services. Children ages 2+ will be participating in bouncy house fun, games, and snacks! Make sure children bring their closed-toed shoes! 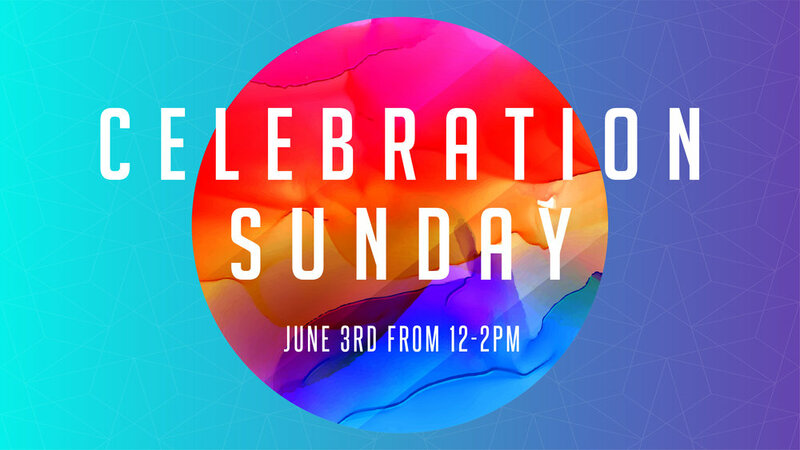 Join the GLC family for one of our Sunday Gatherings on June 3rd as we celebrate all that God has done and is doing through Gospel Life Church! After the gatherings, we will have food trucks, inflatables, and games on site from 12pm-2pm to continue the celebration! If you are new to GLC, or call Gospel Life your home, we'd love for you to join us! Please join us for the ABSOLUTE MINISTRIES Annual Fundraising Banquet on June 1st! As Covenant Partners with Absolute, we want to support their ministry by having a HUGE Gospel Life presence at the banquet. Come be a part of supporting an amazing ministry that is making a practical impact as the hands and feet of Jesus in our community! Join Reality Sports and others from around our community for a LIVE SIMULCAST, featuring best selling author, Dr. Paul Tripp, and a crew of NFL football players including Carson Wentz, Nick Foles, Zach Ertz, Trey Burton, Jordan Hicks, Chris Maragos, and Jordan Matthews as they sit down for conversations about life and faith. This awesome event is by donation only and is a great opportunity to invite your non-Christian family, friends, and co-workers. Tailgate BBQ begins at 5:00pm on May 12th, followed immediately by the simulcast from 6-9pm. Help spread the word and come be a part of this great opportunity to see the impact of faith through sports! To find out more and to register, CLICK HERE. 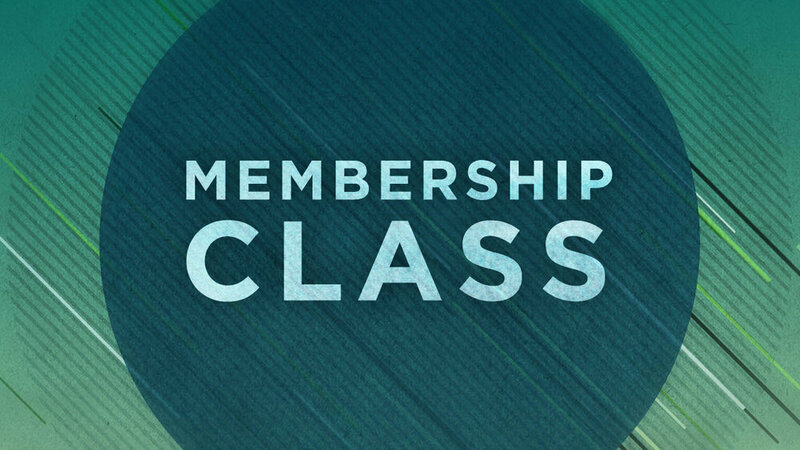 On May 6th, we are offering our SPRING MEMBERSHIP CLASS at Gospel Life Church. If you would like to join us as a partner on mission to help "preach the gospel and connect its transformational power to every day life", we'd love for you to join our family of Members! CLICK HERE to read more about Membership, review the "10 Steps to Membership", and begin an application. We look forward to the new Members God will bring to Gospel Life Church this year! Why: If you desire to become a Member, this class is a mandatory step in completing the process. What: Learn how we define the words "membership" and "covenant", concepts grounded in scripture, and how those are expressed at Gospel Life. Read through our Doctrinal Statement and learn how to become a partner on mission at GLC! JOIN US ON SUNDAY, APRIL 1ST, AS WE CELEBRATE NEW LIFE THAT IS MADE POSSIBLE THROUGH JESUS - WHO OUT OF HIS GREAT LOVE FOR US - ENDURED THE CROSS TO CONQUER SIN & DEATH SO WE COULD BE IN RELATIONSHIP WITH HIM FOREVER! We will have 3 family-style gatherings on Easter, with childcare provided for ages 0-4 only. Children ages 5+ will join in the adult service to worship, receive, and celebrate JESUS together. WE WOULD LOVE YOU TO JOIN US FOR THE CELEBRATION AS WE WITNESS BAPTISMS, SING IN WORSHIP TO GOD, AND HEAR THE GOOD NEWS OF JESUS' LOVE AND POWER TO SAVE! JOIN IN UNITY WITH US TO LEARN HOW WE CAN BETTER PROTECT OUR CHILDREN AND CARE FOR ABUSE SURVIVORS! If you attend Gospel Life Church, this training is for you! We want every adult to be a part of this important seminar discussing how we can better protect our children and respond to issues of abuse in our church from a biblical perspective. 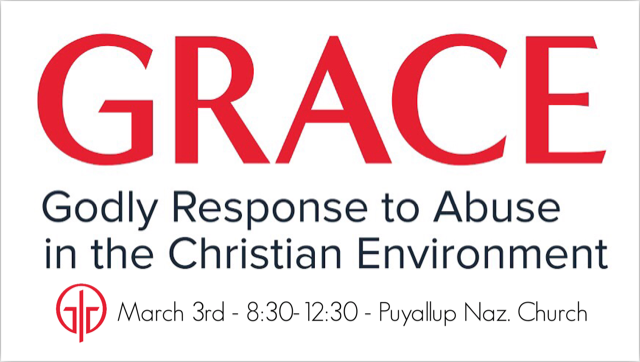 Please join us on Saturday, March 3rd from 8:30am-12:30pm at Puyallup Nazarene Church, and be a part of what God is calling us to do in protecting His children! Childcare available upon request. To RSVP, please register through Eventbrite by CLICKING HERE. Join us for our GATHER WINTER CAMP 2018 for students in 7th-12th grade. Camp will begin on Saturday, February 17 and conclude on Monday, February 19. Please complete the camp registration form by Sunday, February 4. It's going to be an awesome weekend! What we do with what we have is both an issue of wisdom and worship. On the one hand, it’s wise from time to time to take an inventory of our money, wealth and possessions and determine how we save, spend and use it. Wisdom is wise because it works. But at a deeper and more foundational level, how we use these things is an indicator of who or what we worship. Jesus taught that our hearts follow our treasure (Matthew 6:21). And so the gospel – the good news about Jesus – calls us not just toward wise stewardship practices, but to a transformative, life altering conversion of our worship that will completely change how we view our finances. God loves us and provides all we have so that we can participate with Him in the gracious and glorious expansion of His Kingdom. We hope you’ll join us as we launch into 2018 and ask God to transform our hearts by His grace, so we can worship the One and Only ALMIGHTY! CHRISTMAS EVE AT GOSPEL LIFE! On Sunday, December 24th we celebrate the KING of KINGS! We would love for you to join us for one of our three gatherings on Christmas Eve as we sing & celebrate the KING of KINGS, JESUS CHRIST! Each gathering will be a one-hour, family-style service, meaning that kids ages 5 and up will join their families in service and Gospel Life Kids will only be available for ages 0-4. JOIN US FOR A 5-WEEK ADVENT SERIES, LEADING UP TO OUR CHRISTMAS CELEBRATION AS WE CONTINUE STUDYING THE BOOK OF MARK AND SEE JESUS AS THE CONTROVERSIAL KING! The gospel according to Mark declares that God’s ultimate answer to the human condition is not a set of principles, wise philosophy, or religious traditions. His answer is not even found in a moral code or a set of rules to live by. Instead, Mark boldly declares that God’s ultimate answer to all things is God Himself. Throughout this series, we will witness God revealing Himself in Christ Jesus as nothing less than the King of all Creation, and we will see that this King is quite controversial. Throughout these five controversy narratives found in Mark chapters 2-3, we will watch Jesus stand toe-to-toe with all those who have ideas, ideals, or agendas that differ from God's mission and God's agenda. King Jesus is a on mission to seek after and save the lost, and therefore, will not let anything or anyone be a hindrance, distraction, or obstacle to His loving grace and mercy. 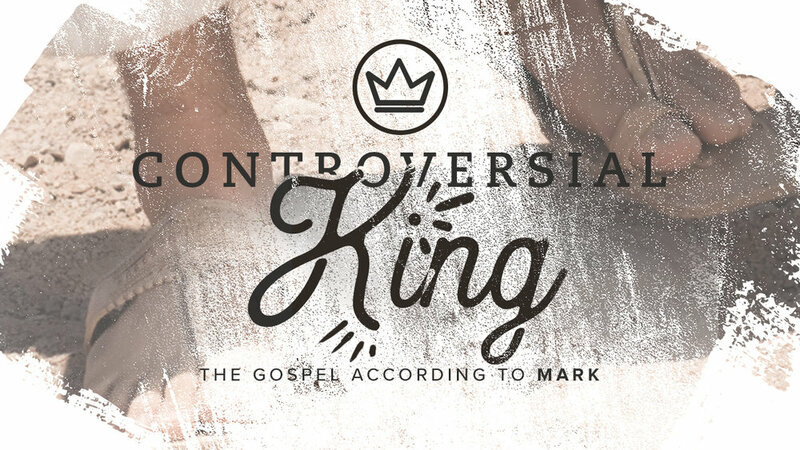 The Controversial King will challenge your ideas, your traditions, and your preconceived notions about God Himself and call you to place your faith in Him. In fact, Jesus desires for all of us to know who God is and, in that, to know that all broken and sinful people can be rescued to enjoy an intimate relationship with Him. And no one will stop the King of Glory doing just that! We hope you join us for this series and our prayer is that you might embrace and submit to the One, True King: JESUS CHRIST!